This end table was salvaged from the curb. 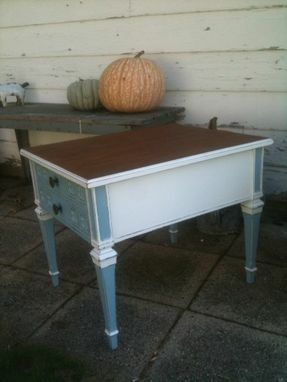 All it needed was a little love and attention and it was recreated into a beautiful side table. 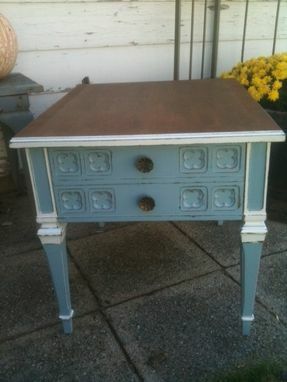 It is hand painted white and a country blue. 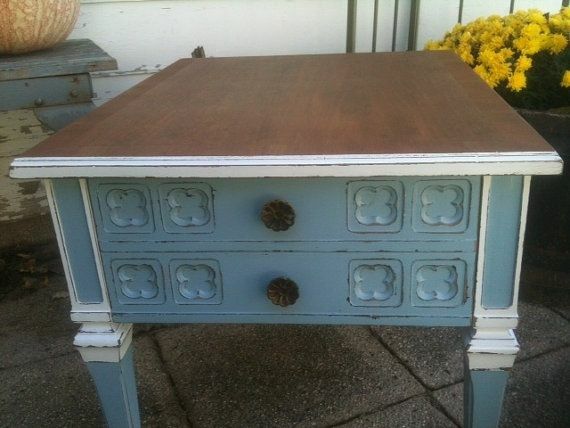 The top is stained in Early American. 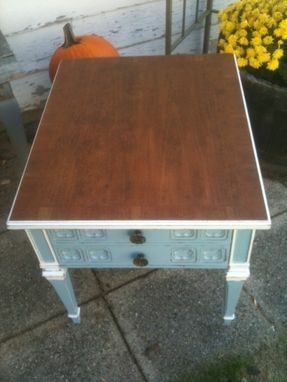 The whole table was sealed with Annie Sloan's clear wax. The edges are sanded to give it a worn look. I left on the original hardware. It is solid wood... no particle or pressed wood here :) Even though there are 2 drawer pulls, there is only 1 drawer. Perfect as a bedside table or in the living room!